A three day tutorial program will be included within the IFSA-NAFIPS 2019 conference schedule. This program is oriented towards students, young researchers, and persons desiring an introduction to topics within the scope of the conference. This year's summer school emphasizes applications of uncertainty based and semantically based computations. The summer school program will also include a session where participants may present 3-minute talks summarizing their research goals or application area, as well as general discussion sessions. Registration Fee of IFSA Summer School is 250 US dollars. This registration fee for the summer school program should be paid separately from your registration for the conference. Don't wait too long to register! The summer school is limited to 20 participants based on a first come and first served system. Full attendance of the school program. Three nights double occupancy at the conference hotel (The Wyndham Garden Inn, check in on June 17 and check out on June 20). A reception on June 17 and the main conference banquet on June 19. Ildar Batyrshin graduated from the Moscow Physical-Technical Institute, Faculty of Control and Applied Mathematics in 1975. He received his PhD from the Moscow Power Engineering Institute (MPEI TU) in 1983 and Dr.Sc. (Habilitation) from the Higher Attestation Committee of Russian Federation in 1996. He joined the Department of Informatics and Applied Mathematics of Kazan State Technological University (currently National Research Technological University), Kazan, Russia in 1975, and served as the Department Head in 1997-2003. Since 1999, he has also been a leading researcher for the Institute of Problems of Informatics of Academy of Sciences of the Republic of Tatarstan, Russia. 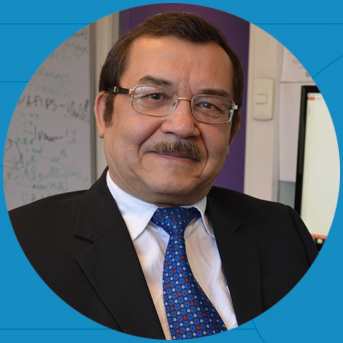 In 2003 he joined the Research Program of Applied Mathematics and Computations of Mexican Petroleum Institute (IMP) as a Distinguished Invited Researcher and later as a leading researcher, head of project and professor of postgraduate education. Since 2014 he is the Titular Professor C of the Center for Computing Research of National Polytechnic Institute (CIC IPN), Mexico. He is the Past President of the Russian Association for Fuzzy Systems and Soft Computing (RAFSSoftCom), representative of RAFSSoftCom in IFSA council, the Vice-President (and President-Elect) of the Mexican Society for Artificial Intelligence, Senior Member of IEEE (Computational Intelligence Society, Systems, Man and Cybernetics Society), the member of NAFIPS Board. He served as a Co-Chair of 10 International Conferences on Soft Computing, Artificial Intelligence, Computational Intelligence and Data Mining. He is a co-author and co-editor of 20 books and special volumes of journals. The two lectures on an “Outline and Applications of a General Theory of Similarity, Correlation and Association Measures” will discuss the new approach to analysis and construction of (dis)similarity measures (DSM) and correlation coefficients (CC). Traditionally these measures are considered in data classification, pattern recognition and statistics for specific domains, for different types of data: for binary vectors or 2x2 tables, for real-valued vectors of attribute values, for variables measured for sampling units, for time series, for probabilistic distributions, for fuzzy sets of different types etc. The lecture studies these measures as functions defined on a universal domain. Different types of measures are presented by functions satisfying different sets of properties; similarity and dissimilarity measures are considered together with correlation coefficients. Methods of construction and transformation of these functions will be discussed. The methods of construction of correlation coefficients using (dis)similarity measures will be considered. The methods considered on the universal domain are used to construct new DSM and CC on specific domains. 2) practical guides for constructing and application of DSM and CC for different types of data. The lectures will be useful for postgraduate students, researchers and professors working in: fuzzy logic (in wide sense) and aggregation functions: fuzzy (valued) relations, pseudo-differences associated to t-conorms, DSM and CC for fuzzy sets will be considered; statistics: the general methods of construction of CC for almost any type of data that outperform “Kendall’s general correlation” will be discussed. Spearman’s, Kendall’s, Pearson’s, Yule’s Q and new CC are generated as particular cases; data mining and data analysis: limitations and drawbacks of some popular DSM and CC will be discussed, the methods of construction of new measures of relationships between data without these drawbacks for specific data types will be discussed; applications of DSM and CC: some applications of DSM and CC to analysis of financial data, rating profiles and well production data will be discussed; teaching Data Science courses: the general methods of representation, analysis and construction of DSM and CC can be used as parts of Data Science courses. b) Application of Dynamic 2D Maps in Aquifer Identification. In the first case study, VMDPetro used for visualization of well production data and analysis of local trend associations between these data for all pairs of wells. High association between well production dynamics of two wells is used as indicator of possible interference between them. In the second case study VMDPetro is used for dynamic 2D mapss visualization of a reservoir based on water production data of wells. An example of application of this tool for aquifer identification in petroleum reservoirs will be discussed.